You can find trains everywhere. Whether you are traveling in the Sahara, jungle or somewhere in the north between snowdrifts. Or is it different? 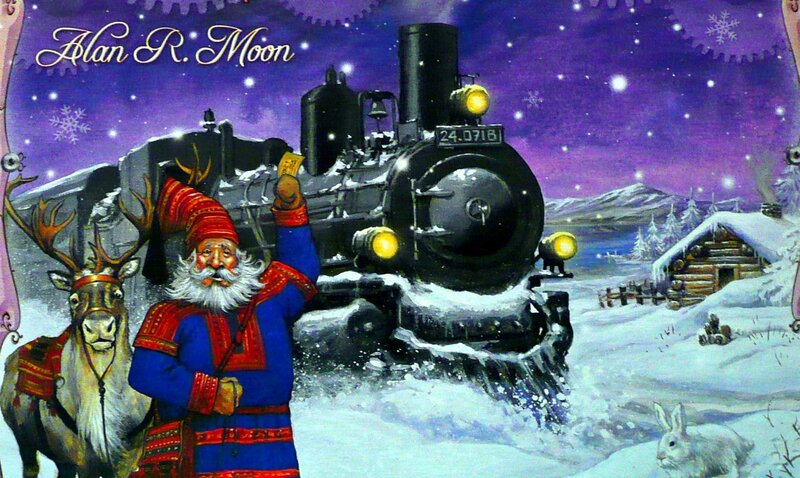 Railroad is not that obvious, but where it goes, it brings civilization with it. Apperently not only a good thing..
And because locomotive has now arrived into the Scandinavian peninsula, we can play new train game called Ticket to Ride: Nordic Countries. 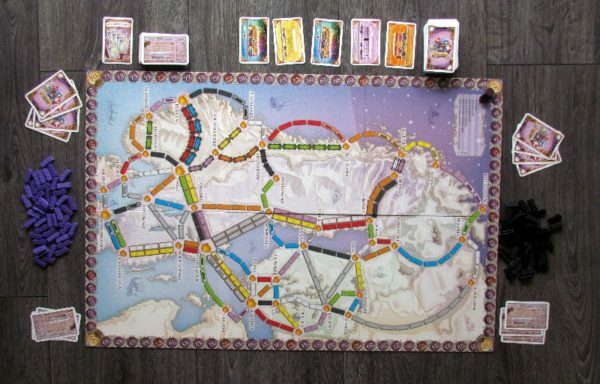 It was led to the north by its author Alan R. Moon, which created another version of his top selling Ticket to Ride hit. And adds new rules. And this is also, why we will build on our previous review of this series. Production was taken care of by company Days of Wonder and distribution is then ensured by Esdevium Games. From the square box radiates cold to all sides. 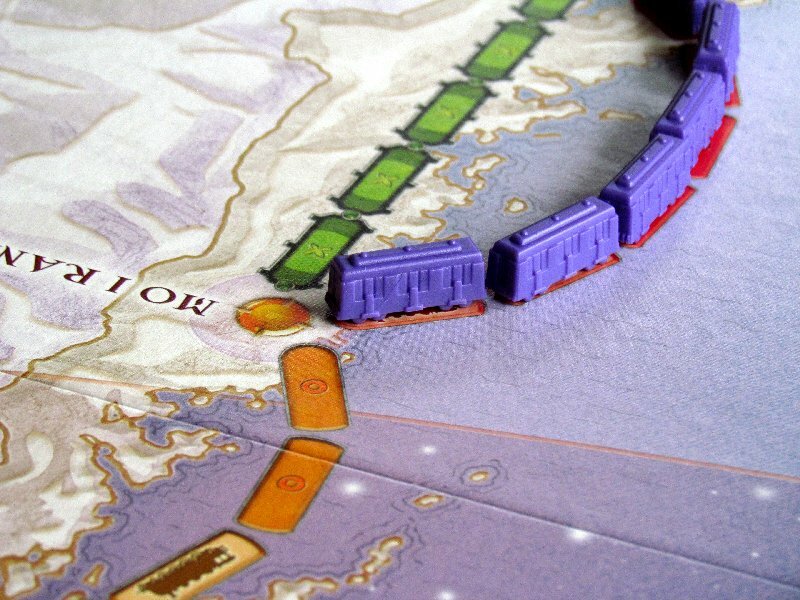 Snowy landscape with eponymous train welcomes us, so we hop inside, where first impression is about a big game board with a lot of cities. 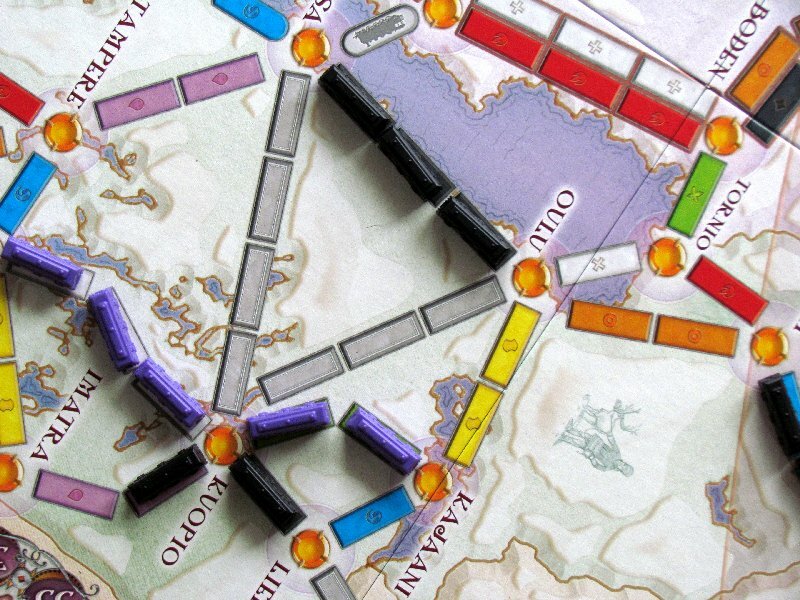 They are connected by lines of colored rectangles and around them winds a hundred-points route for noting points, players have gained. Map is not double-sided, which is perhaps a little disappointing. Surely, we would like to see other Nordic countries and or second part devoted to Baltic states. What is hidden in compartments underneath plastic panels, should not surprise any experienced train warhorse. At least as far as lineup goes. There are wagons, round scoring tokens and two decks of cards – those with lines connecting two cities with a point value and then colored cards of wagons. 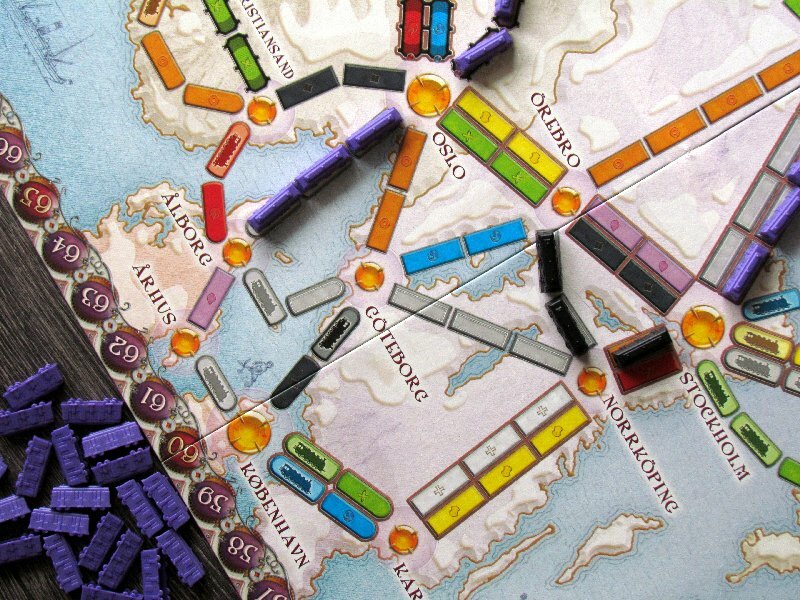 However, where the game is not surprising in box composition, it is probably a little different in numbers of components – there are only three packages with trains – purple, white and black! During setup, everything will already become clear. 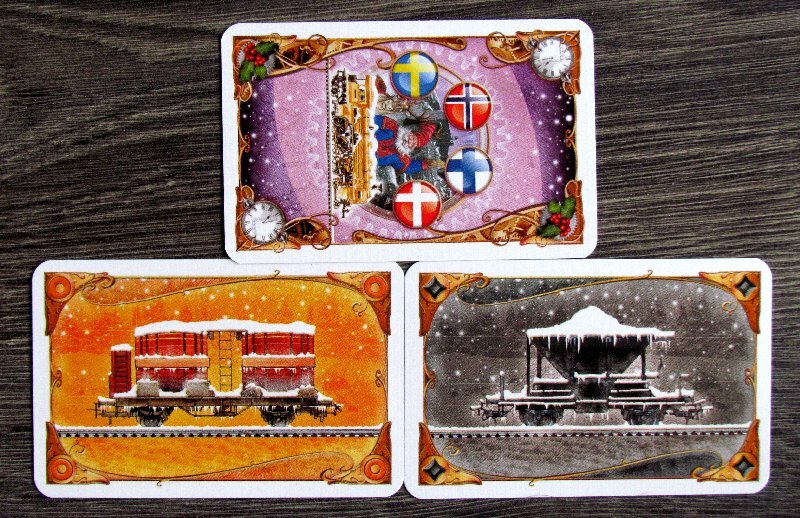 In this train novelty, you will chase trains in a maximum of two or three opponents across the Nordic countries. 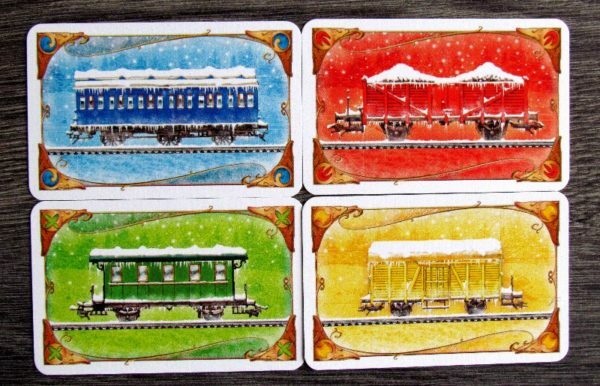 Everyone gets one set of forty cars and will also set round token of the same color next to starting point of the counter. 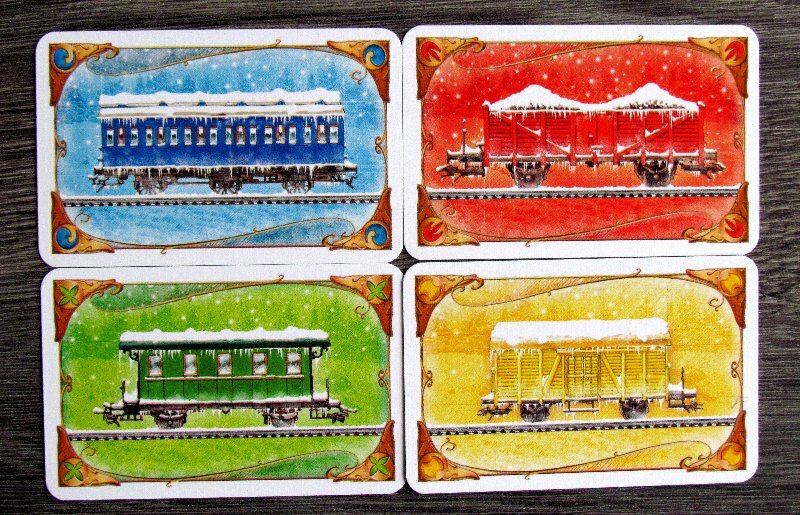 From a shuffled deck of cards, each player receives four random wagon cards, while five more create the offer next to the board and package is placed next to them. Then, each player gets also five cards of tasks, from which can players keep any number (but at least two). Besides the board, one common Globetrotter reward card is placed. 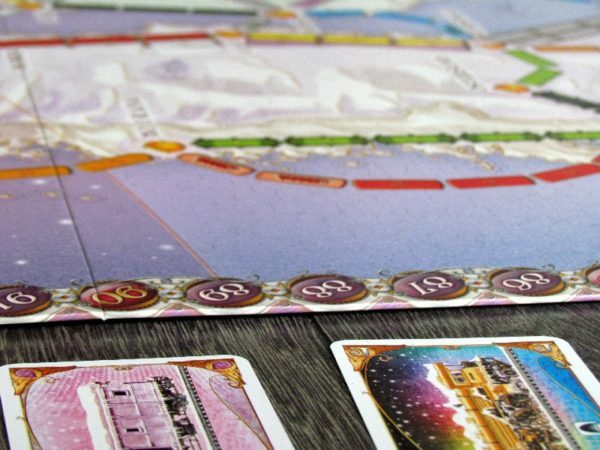 Basic gameplay is classic for Ticket to Ride. In his turn, player can always choose one action out of three. One is only drawing two new cards wagons and in any combination between the open offer and blind draw from the pile.The first change is an exception, that number of engines, that can be obtained in one turn is not limited. Second option is to get new tasks – from three newly picked up, player may keep again any number, but at least one. Main event is to build a route between two cities. 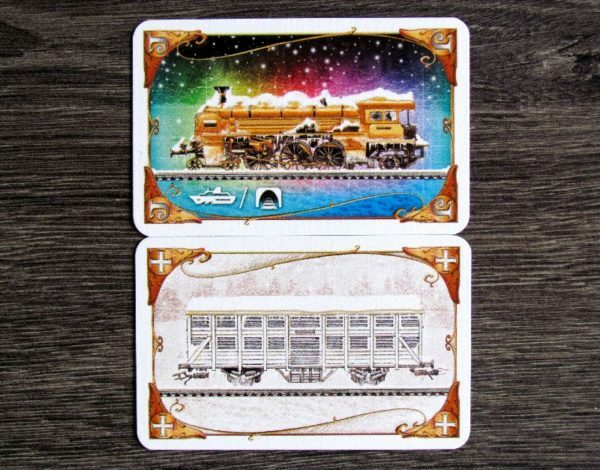 Player uses a set of cards in same color and eventually locomotives as a joker. This collection of cards must match in number and color the built connection. These do not have to be connected and player can choose any path anywhere on the map. 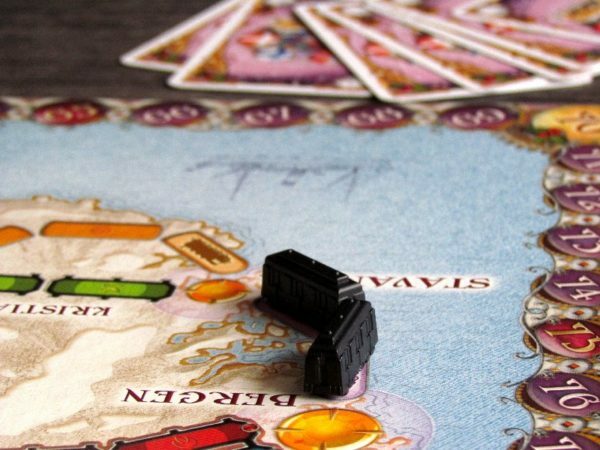 Game for the first time ever comes with ferries, which are typical for these countries. Full of islands and peninsulas need these bridges and ferries for cars to get somewhere. And just because of that, building these routes is more difficult than others, and engines must be used for their completion. Requirements are shown with silhouettes of locomotives on connection rectangular boxes. We already know tunnels from previous games and they are needed here as well. 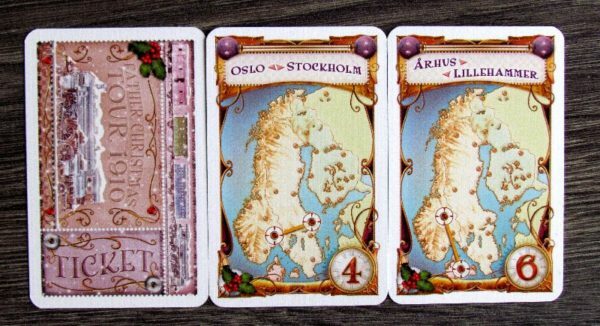 Their demands in number of cards may not be final (mountains have always some secrets to dig through) and requirements may be raised due to several randomly revealed cards (for each card of same color as the route). Players then have to pay more. 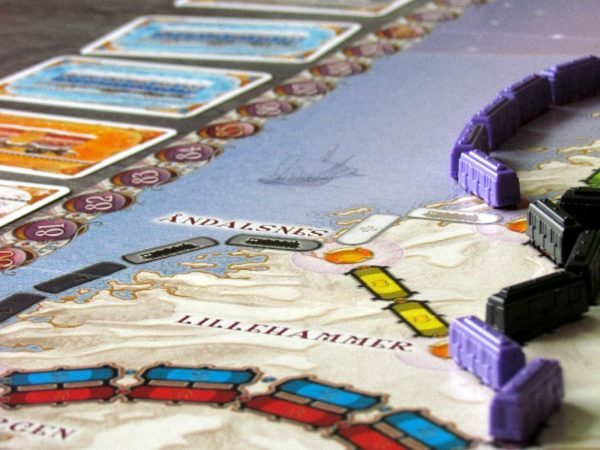 If a player can not handle tunnel construction, he has lost one turn in pointless efforts. Each successfully laid route eventually brings players a set of points according to its length, ranging up to 27 points. There is only one line worth this much on the whole map and has a total of nine gray boxes (any color set can be used). 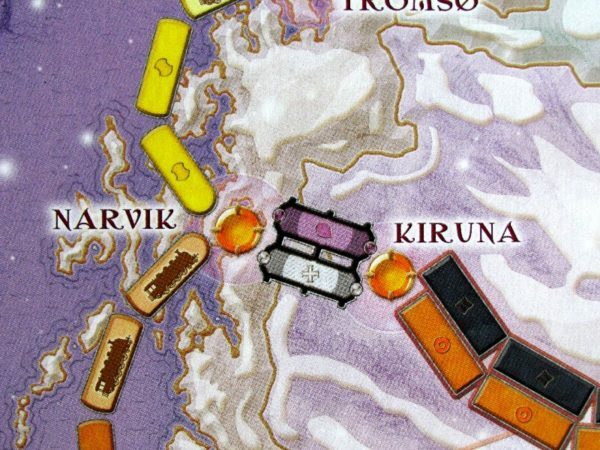 These points are added up at the end of the game, when one of the rivals has left only two last cars (or less) in his possession. Value for completed tracks is not the entire score. Players will be rewarded for tasks. 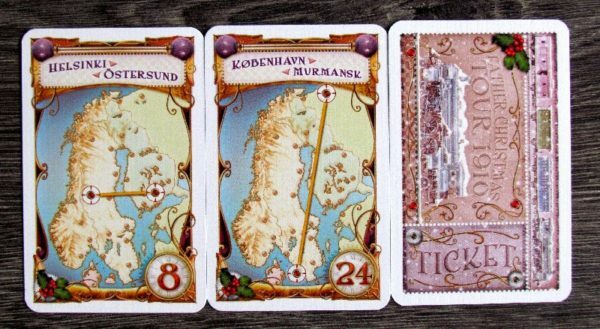 If player managed (with any number of stops) to connect both cities printd, he then receives points corresponding to the value on the card. In the event, that he was not successful in building a connection, then the same number is subtracted from his total. That’s however not all, because there are still ten points to award. This will go to someone, who has completed the most tasks (cards) regardless of their price. The player with the highest total can now celebrate victory. Ticket to Ride: Nordic Countries is at first glance same as its predecessor. There are a few minor adjustments and least impact on the gameplay has surprisingly the most significant. We are talking about ferries, which increase requirements of some routes. But they are not as critical as tunnels, which also are in Scandinavia. Even so, we appreciate this innovation, because it enhances the feeling of variability. Much more important for the overall impression is globetrotter card. To have or not to have ten extra points at the end of the game can be a crucial difference. Players finally have a reason not to go blindly after the most valuable tasks. Low value tasks are suddenly also of great importance on your road to victory and cope with the heavier ones. Influence of luck on task cards draw is even more minimized. And finally, we get to the third and final difference. This is of course number of players, which the entire box is intended for. And here’s the point, where new plan will show its strength. It is built just so that thereon players constantly meet. That’s because cities are connected by short runs, but at the same time, there is always some opportunity to maneuver. If you are looking for a chance to play Ticket to Ride in two (or three), then this box is best for you without any questions asked. If you would like us to evaluate Ticket to Ride and its overall concept, we would ask you to read our earlier reviews. We can only repeat, that this is a great family fun, we can not recommend highly enough. Trains are great theme and tactic associated with the chance of card draw is the perfect vehicle for its complexity. 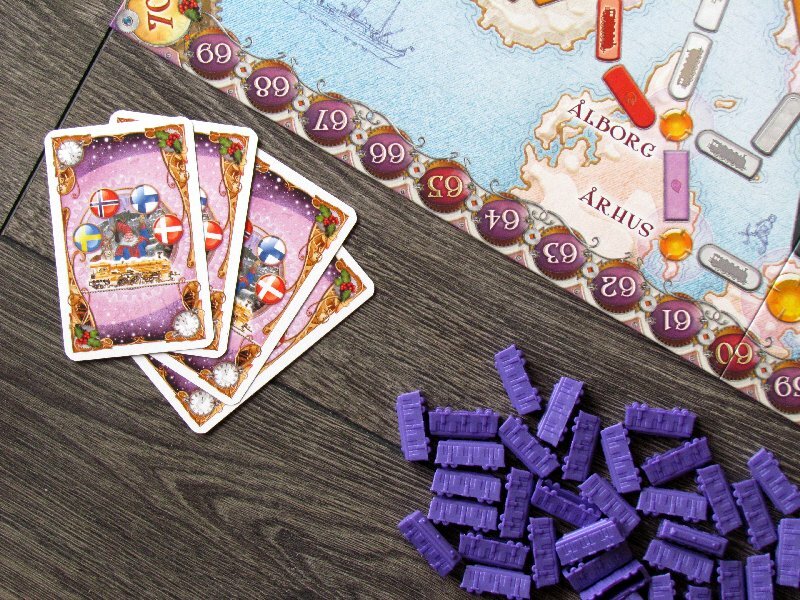 The rules are simple and game is accessible for smaller (younger) players. 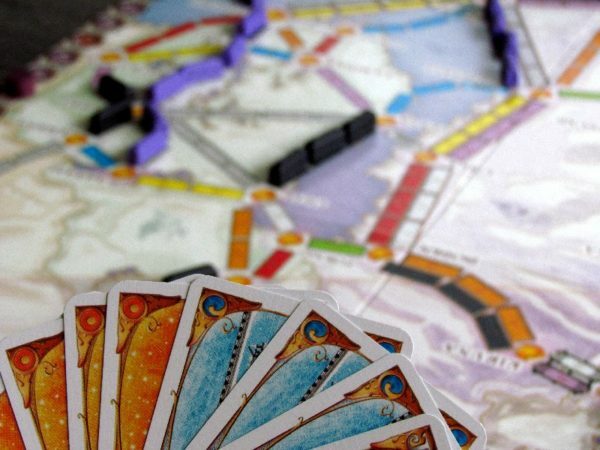 Perhaps that one action per round is the reason, why Ticket to Ride is so popular. The whole game runs very well forward and all enjoy it. Graphics of cards is all about a snowy fairytale with a Christmas mood. Overall, however, processing is exactly as we expected and still very nice. 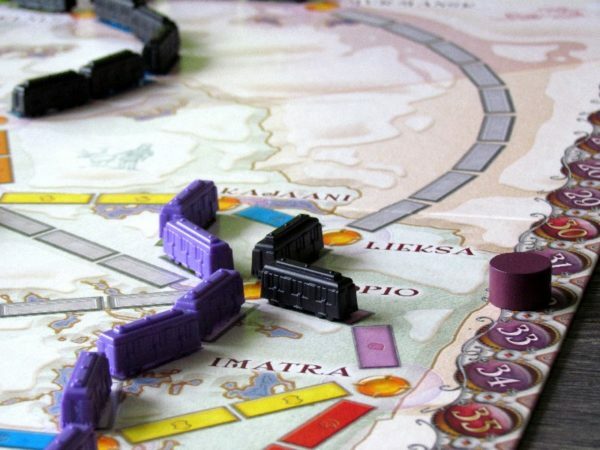 Plastic cars, of course, help the overall impression and the game will delight all railway lovers. 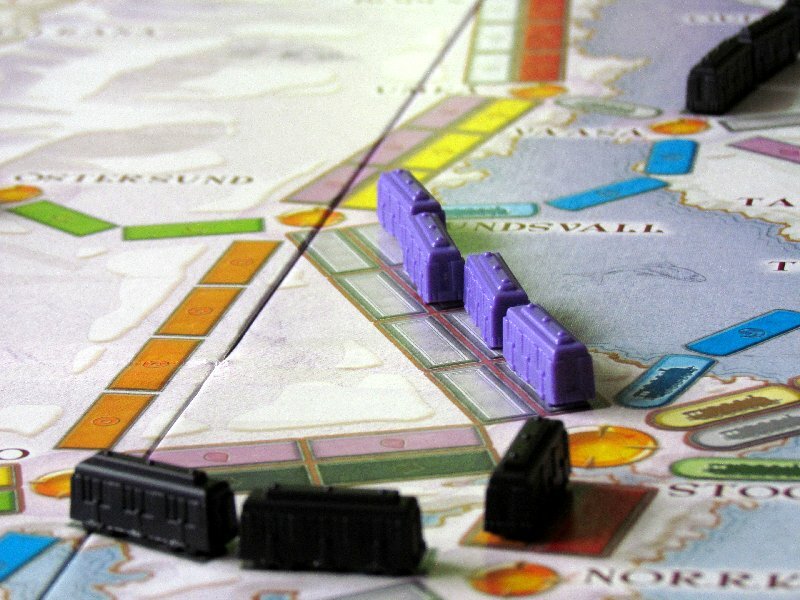 Ticket to Ride: Nordic Countries is a successful successor, which offers everything, what we have become accustomed to with trains. 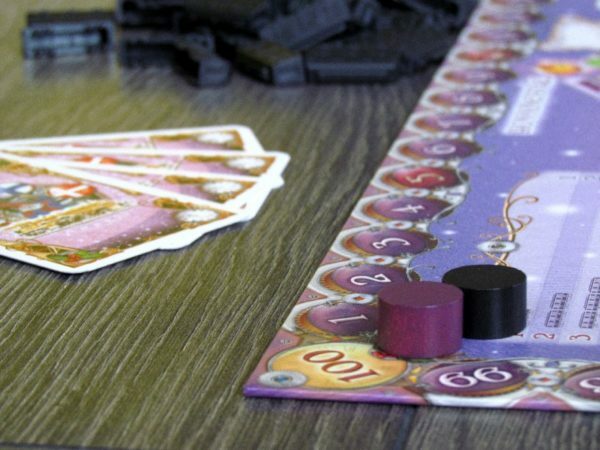 But the game focuses on a smaller number of players, who get a much larger portion of fun and thrill. 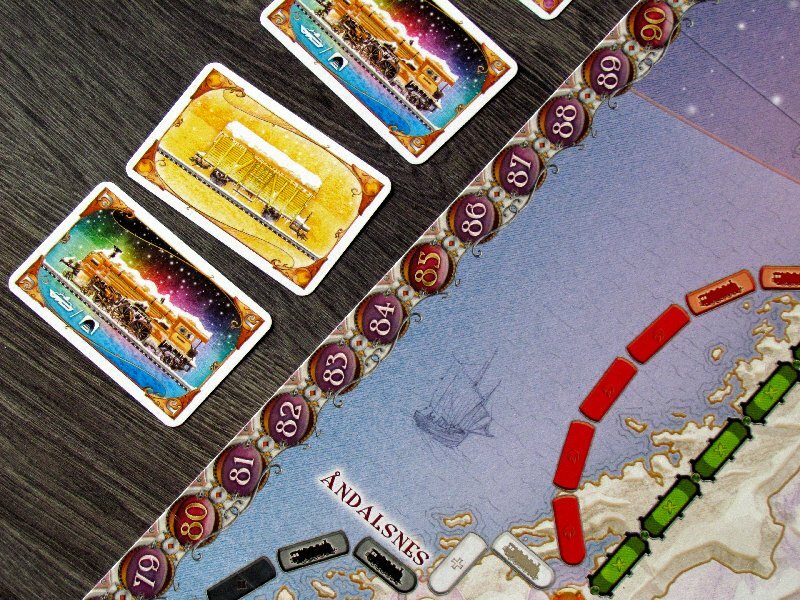 And yet, the game also offers an interesting innovation to gain extra points and have to deal with ferries. All together, this makes Nordic Countries excellent family game for less numerous group of players, who love to take their trains for a spin from time to time. 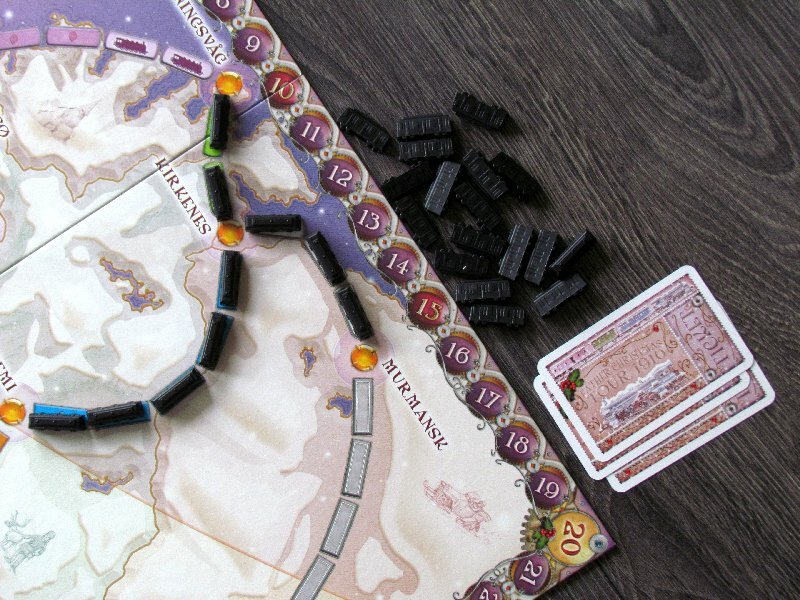 Ticket to Ride: Nordic Countries is no map extension, but separately playable box. 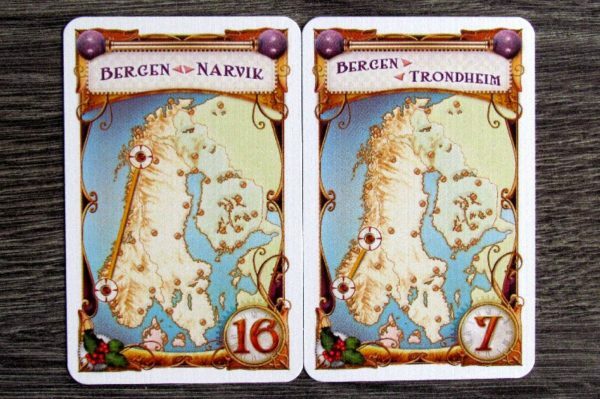 Its territory is a place, where always a maximum of three players will fight for dominance and offers great entertainment for them. 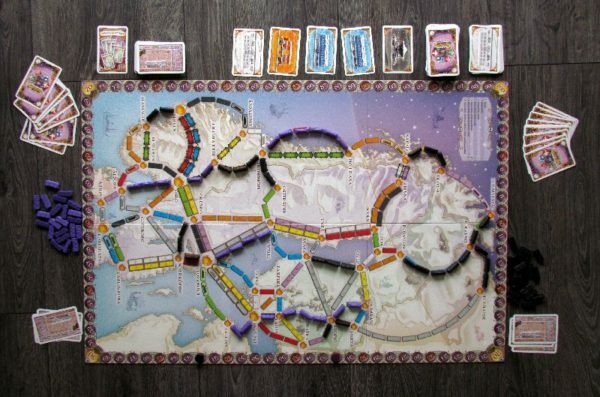 It is similar to all classic Ticket to Ride games, but it offers new features. Although, given their scale, they will probably not be the only reason, why you should buy this game as another box, if you already own Ticket to Ride. 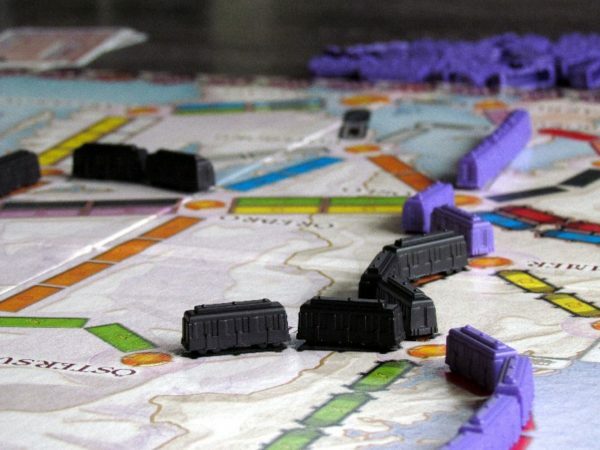 If two is just the number, in which you play this train game the most, then your purchase is justified. 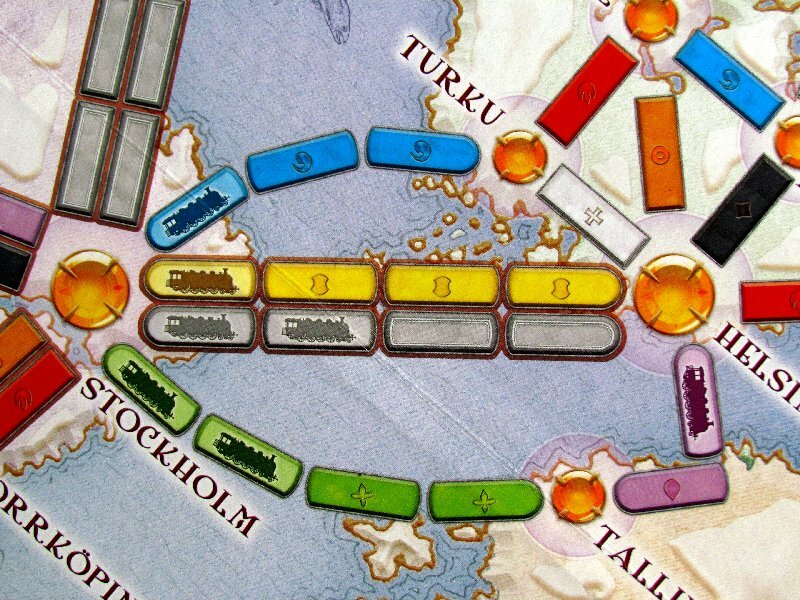 This position of a duel game suits Ticket to Ride: Nordic Countries very well. 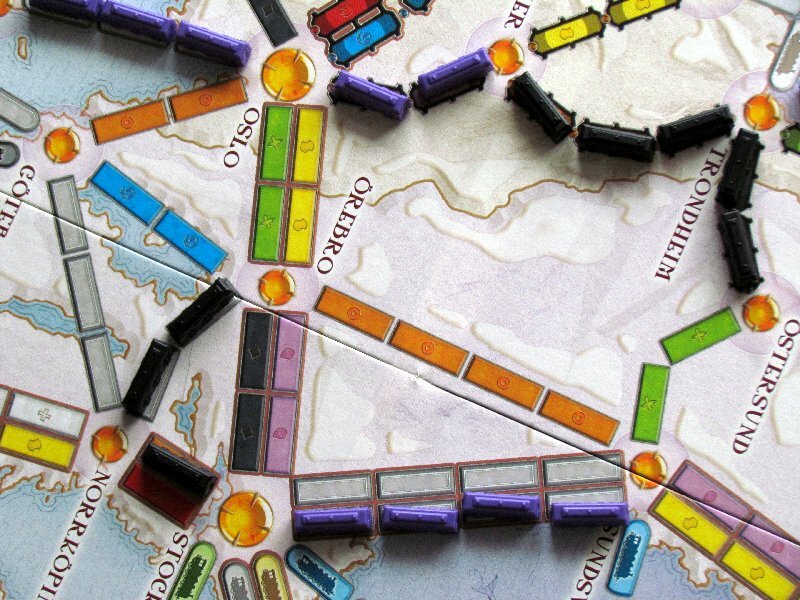 Transporting goods across land is suddenly not enough. Sea is our goal now. It's time to go to set sail and fight uncertain battle with the waves!